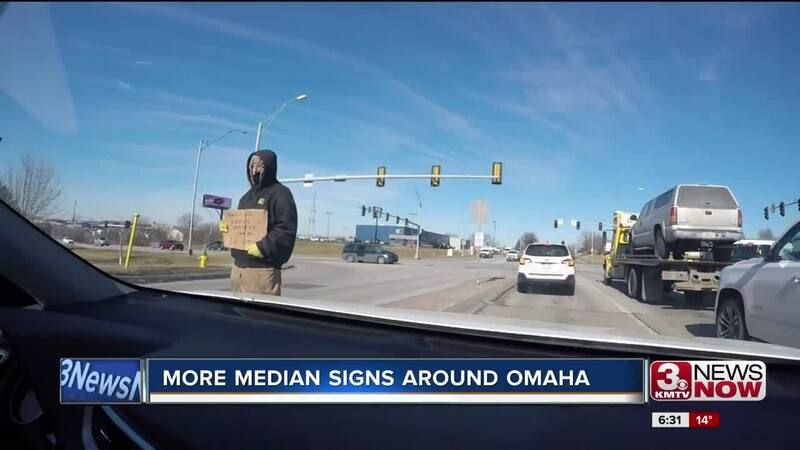 There's been an increased effort to crackdown on panhandling in Omaha enforcement has more than tripled. OMAHA, Neb. (KMTV) -- — There's been an increased effort to crackdown on panhandling in Omaha enforcement has more than tripled. In the last year the city put up signs at new 10 intersections, which brings the total to 14. The ordinance prevents people from standing in the median for safety reasons. The city says it helps cut down on panhandling. “I think that's a good idea. I think it's kind of a safety problem having people stand in the medians and panhandling. I just don't think that's the best place to stand," said Gregory Blobaum, an Omaha resident. OPD says in 2018 four people were cited for being in violation. Criteria includes how wide a median is, and if there's been crashes or signs knocked over. Police also can ask the city to consider an intersection. N 90th St. & Fort St.